There’s no doubt that businesses large and small throughout America are focused on ways to reduce greenhouse gas emissions. While the U.S. has made great progress over the last decade, the private sector is hard at work finding new and innovative ways to reduce emissions—including from an unlikely source: pigs. That’s right. It turns out that methane represents about ten percent of all U.S. greenhouse gas emissions, and a leading source of methane is agriculture. Waste from animals such as cows and pigs releases methane into the atmosphere—and as you might expect, that’s not good for anybody, including our environment. Until now. A new joint venture between one of the nation’s largest energy producers and the world’s largest pork producer has been formed to capture this waste and turn it into a renewable fuel that can be used for electricity and heating. Align Renewable Natural Gas is a partnership between Dominion Energy and Smithfield Foods to provide a new type of fuel to power our economy. The concept behind this new energy source is to capture methane (or biomethane, which is the technical name for the gas produced by the decomposition of agricultural waste without oxygen) and purify it, removing all the water, carbon dioxide and hydrogen sulfide. That makes it suitable to use as a substitute for conventional natural gas suitable for electricity generation or home heating. In short, Align Renewable Natural Gas captures methane that would otherwise be released into the atmosphere during ongoing agricultural activities. Thus, the “renewable” component of this joint venture. Thus far, nearly 100 hog farms are involved in the project. Over the past few months, our EnergyInnovates initiative has taken you on a tour across the country and behind the scenes at a number of cutting-edge projects that are helping to solidify America’s leadership in the energy technologies of today … and tomorrow. The development and use of renewable natural gas is just another example of how today’s energy industry IS America’s high-tech sector. Through the investment of $250 million over the next ten years, Dominion Energy and Smithfield aim to make renewable natural gas an important contributor to America’s diverse energy resource mix. 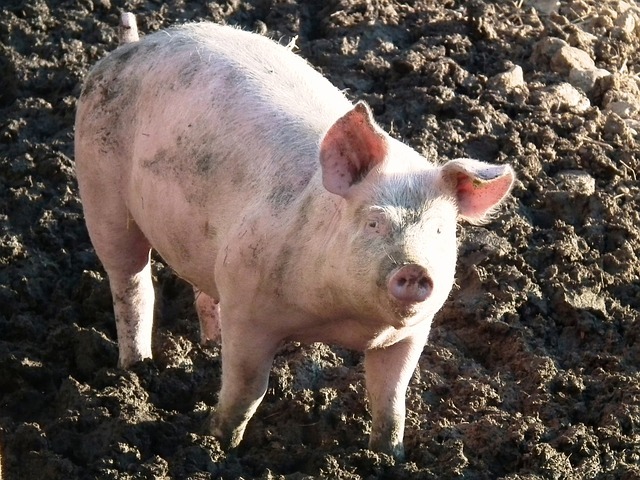 So the next time you drive past a hog farm and take a whiff you can take comfort in the fact that the waste you’re smelling may soon become an emissions-free power source for your home.